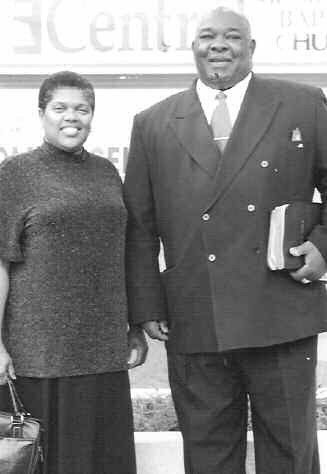 Evangelist Phyllis E. Foster & Deacon Charles Edwin Kelly. It is an exciting season at Central Missionary Baptist Church (Hitch Village), Rev. Larry James Stell, Pastor. God has blessed us with a double portion in the persons of Evangelist Phyllis E. Foster & Deacon Charles Edwin Kelly. The Central Family would like to announce to all of Savannah and surrounding areas that on Sunday, November 23, 2008 at 5:00 p.m., the initial Sermon of Evangelist Phyllis E. Foster and the Ordination of Bro. Charles E. Kelly into the Baptist Fellowship will take place. Evangelist Phyllis E. Foster is the daughter of Drs. Blanton E. & Ruby C. Black. The mother of two sons and one daughter (all residing in Atlanta). She is a graduate of A. E. Beach High School and Spellman College with a B. S. in Chemistry. Bro. Charles E. Kelly is the husband of Sis. Gwendolyn Davis Kelly, the father of two sons (Tremayne & Javon) and one daughter (Thea (Darryl) Kershaw) and seven grandchildren, Rhashidah, Michael, Darryl, Maiyah, Niyah, Jawon and Angel.